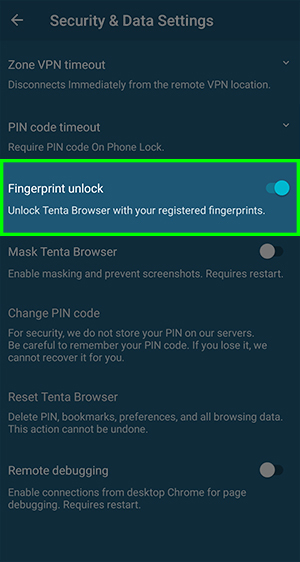 If your device has a fingerprint sensor enabled, you can use your print to unlock Tenta. 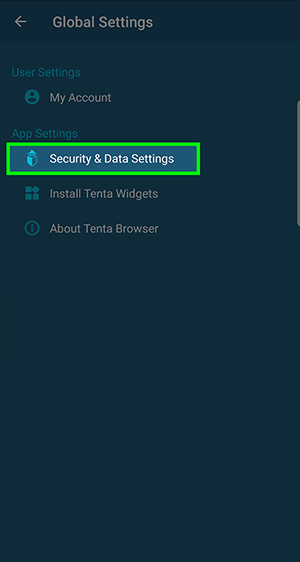 You can turn this on when you set your PIN or by going to Tenta-Only Settings. This feature will only work if you have enabled the fingerprint sensor on your device. 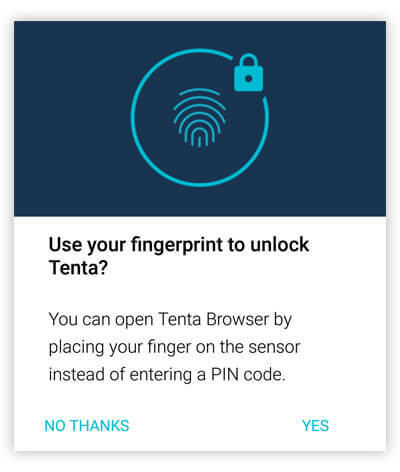 If your device doesn’t a fingerprint sensor, or if it does but you haven’t enabled it yet, you won’t be able to use this feature to open Tenta. How you secure your device can weaken or strengthen your privacy protection. In some jurisdictions, including the United States, a password you invented may enjoy more legal protection than the unique thumbprint that nature gave you. In other words, the products of the body (such as DNA and fingerprints) are not protected under the law — but the products of the mind are (such as information, including passwords). Learn more about passwords vs fingerprints on our blog.